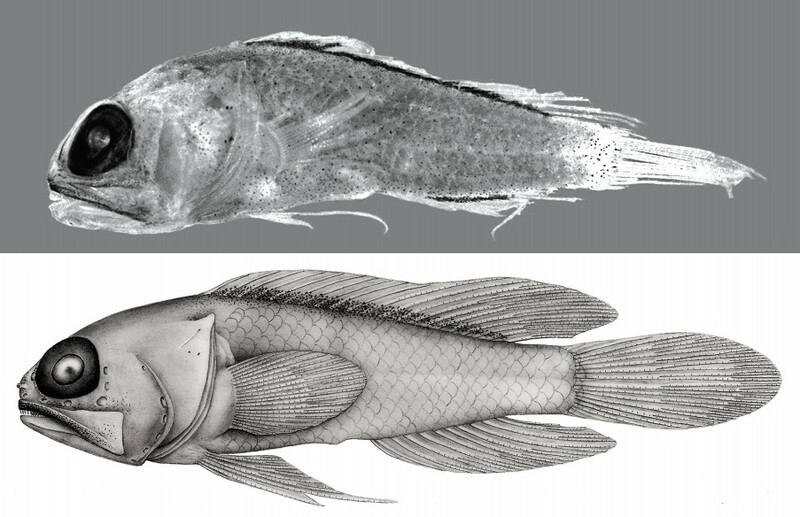 A pair of interesting new jawfish species have just hit the scene, and they’re sure to excite all the opistognathid fans out there. 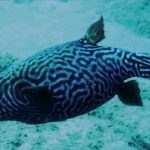 Both hail from fairly deep mesophotic reefs in the Caribbean, but, despite occurring beyond the reach of most divers and collectors, one of these fishes has already been made available to aquarists. The Pygmy Jawfish (Anoptoplacus pygmaeus) certainly lives up to its name, with the largest known specimen clocking in at just under an inch in length—roughly the same size as a Trimma goby! It was discovered near Cozumel, Mexico in a trawl sampling at depths of around 250 meters. 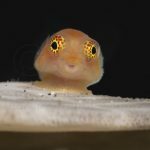 Now, this isn’t the first time a jawfish of such diminutive proportions has been found—there’s a similarly sized example from the Indo-Pacific that remains undescribed—but this new species has some unusual reductions in its morphological features and some strangely shaped infraorbital bones that aren’t seen elsewhere in the family. For this reason, an entirely new genus was erected for it; however, it should be emphasized that very little is known about the evolutionary relationships within this family, and it’s not uncommon for miniaturized fishes like this to initially get misclassified with respect to their true evolutionary origins. This little fishy may eventually turn out to just be an unusual member of the diverse genus Opistognathus, but we won’t really know until a more thorough phylogenetic study of the group is published. 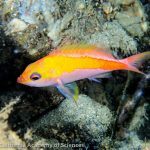 The other new species was collected by the famed Curasub—the Curaçao-based submersible responsible for so many recent discoveries in the region, as well as the source for many of the deepwater Caribbean fishes which trickle into the aquarium trade. The holotype specimen was collected alive using the fish anesthetic quinaldine and a suction hose and was briefly in the hands of Dynasty Marine. But rather than winding up in the hands of an aquarist, it instead made its way to Dr. William Smith-Vaniz, the undisputed world’s authority on the family, and is now described as the Curaçao Jawfish (Opistognathus schrieri). 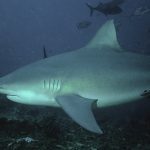 It boasts a mottled mix of brown and yellow markings along the body, with a prominent dark ocellus in the dorsal fin and a white spot near the base of the pectoral fin. While it may not be as spectacular as some of the other mesophotic jawfishes out there, it will no doubt be a rare and pricey offering whenever additional specimens get collected. jawfishes (Teleostei: Opistognathidae). Journal of the Ocean Science Foundation, 26, 46–58. 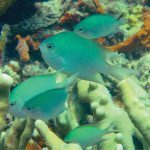 Aquarium Tips : Supplemental Coral Feeding?